During the 18th century, the Turtle was designed by David Bushnell which held one person. It was the first submarine capable of independent movement and the first to use screws for propulsion. During the American Revolutionary War, Turtle (operated by Sgt. 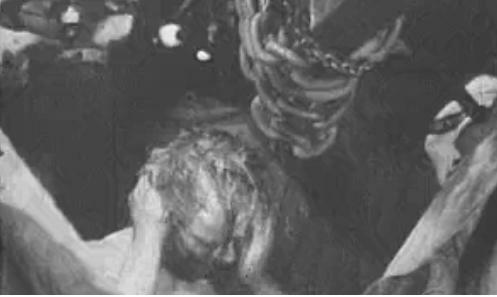 Ezra Lee, Continental Army) tried and failed to sink the British warship HMS Eagle, flagship of the blockaders in New York harbor on September 7, 1776. In 1850, Wilhelm Bauer was asked to design a submarine for the government, incorporating all aspects of the more modern vessels. The Brandtaucher weighed 70,000 pounds, was 28 feet long, and was powered by two sailors turning a tread wheel. Bauer had previously created a model of a larger scale submarine that proved to be functional, however the government refused to accept the design. Tanks of sea water would be filled before submersion, allowing the vessel to stay under the water longer. Since the government chosr to deter from this design, the submarine would be flooded with water, instead of just a few tanks to keep it stable. Brandtaucher sank during a test drive; however Bauer still became instrumental in the development of the English and Russian submarine programs. John Holland later invented electric engines, horizontal rudders, and water ballasts. On August 4, 1906, the first German U-boat, Unterseeboot-eins, was launched at Danzig. The world’s superpowers had no idea, and honestly, were not concerned with the introduction of the new German submarine. World War I would be the first time the fleet of U-boats would make a lasting impression on the outcome of the war, and change the opinions of the English, Russians, French, and Americans. Check out Submarine History for an extensive history of the Submarine from 1580 on. Great Britain may have paved the way for industrialism during the first revolution, however after 1870; Germany was swiftly replacing Great Britain as the Industrial leader in Europe. Germany saw a need to protect her small coast, especially after gaining new overseas colonies. Trading ships that transported raw materials and industrial goods needed to be protected on the world seas. At the end of the 19th century, William II of Germany recognized the need to cooperate with industrialists, especially considering Germany’s industry rivaled that of England. At the beginning of the 20th century, the German Navy, although not as large as England’s, had become a bit dangerous in nature. England became aware of this fact, considering its fleets were always as large, if not larger, that the three largest naval powers in Europe combined. Europe immediately started to increase its navy, however in 1905 Grand Admiral Alfred von Tirpitz started working on defensive and offensive submarines. German industrialist Gustav Krupp funded the new submarine fleet, built by Spanish engineer Raymond Lorenzo d’Equevilley-Monjustin. Monjustin came to Krupp in 1901 with the grandiose idea for double hulled submarines, capable of long range attacks. Originally, Krupp had inquired about the funding from Tirpitz, however Tirpitz believed the vessels would never accomplish a surface vessel attack. How wrong he would be. With his own money, Krupp funded the entire plan, thus several features of the submarines were dismissed when funding ran out. The first prototype was introduced on June 8, 1903 and measured 13 meters long and traveled 40 nautical km at a surface speed of 4 knots. Submerged, the vessel traveled at 5.6 knots. The first test in 1904 impressed William II, however Kaiser Tirpitz was still quite hesitant in investing money in a vessel not proven in combat. Interestingly enough, the first submarine was sold to the Russians in 1904 for the Russo-Japanese War, along with three other vessels of the same design-called the Karp Class. The original design was improved once Krupp's engineers started building them for the Russians. In 1905, Tirpitz finally agreed to purchase submarines for the Germany fleet at the price of 1.5 million marks. The first U-boat, the U-1, launched in 1906. The boat measured close to 140 feet long, weighed 238 tons, and could carry 20 men. U-1 was armed with a 46 cm bow torpedo tube with three self-propelled torpedoes and an 88 mm deck gun. The U-1 could reach maximum speeds of 10.8 knots on the surface and 8.7 knots while submerged. 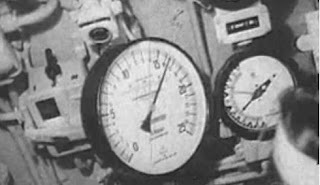 The cruising range, measuring 2,414 km, made the new U-1 U-boat an important new weapon for Germany. The introduction of the German U-1 was hardly a reason for the largest navies in the world to be alarmed. The Germans had entered the waters a bit too late, especially if they wanted to rival the numbers of vessels in the fleets of the great world powers. At the time, France had 123 submarines, England had 72, Russia had 41, United States had 34, and Germany had 26. This would prove to be a minute issue for the Germans as their fleet continued to grow. On September 22, 1914, commander of the U-9 Captain Otto Weddigen, sank three English vessels in less than an hour. England relied heavily on commercial trade, so the sinking of their commercial fleet led to a shortage of essentials that couldn’t reach them. England’s surface waters were now open to German U-boat attacks, and this was an admission the admiralty of England could not ignore. October 14, 1914, Lietenant Captain Feldkirchner, commander of the U-17, sunk the English steamer, the SS Glitra off the Norwegian coast. In 1907, an agreement at Geneva outlawed surprise attacks on civilian steam ships, however Germany blockaded the British Isles and started sinking commercial vessels. U-17 was decommissioned on 27 January 1919 and sold for scrapping. The Lusitania, carrying war supplies for the war effort, had already been warned prior to its final voyage. In fact, the German embassy posted a full page advertisement in the New York Times, warning Americans that German U-boats would be in the water and may attack due to the wartime cargo aboard the ship. Against warnings, the Lusitania sailed. On May 7, 1915, the Lusitania was torpedoed by the German U-boat U-20 under the command of KL Walther Schwieger, , killing close to 1200 people, 124 of which were Americans. Rumors serviced that blamed German U-boats for the second explosion, after the Lusitania was already sinking. Further investigations, however, proved that the explosion was due to the ammunition aboard Lusitania. Fearing the Americans would enter the war, Germany grew desperate. General Erich Ludendorff and Field Marshal Paul von Hindenburg set up a blockade, to render England helpless before America could intervene. Three vessels were sunk forcing President Woodrow Wilson to ask Congress to formally declare war on Germany. This concreted Germany’s defeat in the war. The ending result and consequence of the launching of the first U-1 set the ground for a major conflict between America and Germany, prior to World War II. This German propaganda movie was part of a U.S. Navy archive compiled during WWII, and acquired by Periscope Film. 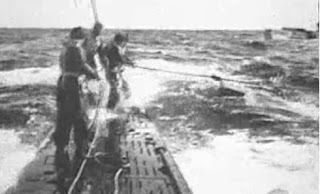 In this film, a German U-boat is shown being resupplied at sea by a Type XIV milkcow submarine. Torpedoes and food are transferred, along with diesel fuel. The U-boat then resumes its hunt for English merchant ships during the Battle of the Atlantic. Note: Video is in German, however the footage is fascinating, even if you can't understand the language. Pictures under Evolution of the German U-boat Fleet are screen captures from 1940 video of U-boat being refueled and replenished. Madden, Paul. "Germany Launches Forst U-boat." Great Events. Print.